It’s an undeniable fact that our activities have become highly restricted owing to the advent of technology. Offices too hardly require their employees to move a muscle these days. Everything from the work management to administration and finance & accounts is done on laptops and PCs which results in great physical strain to our bodies. Owing to this awful and unavoidable scenario, the employers are required to buy office furniture that ensures 100% safety and health for their workers. An office chair is something that holds primary importance at any workplace, which is why it needs to be bought while keeping in mind all the fundamental principles of ergonomics to ensure healthy living for all the workers. The leading interior designer of Pakistan AmerAdnan® lays great emphasis on different things that need to be taken into account when buying an office chair. According to AmerAdnan®, it’s really important to make sure ergonomic office chairs are bought so that the employees can remain healthy and perform up to their maximum potential. A good chair doesn’t restrict the blood circulation as the sitting posture takes a bit of help from the muscles to maintain. With the right office chair, the stress on spine is minimized and its natural S-shape is maintained. Seat Height: The height of the seat needs to be in accordance with your height. 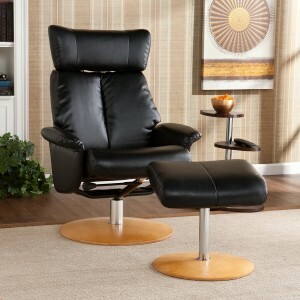 The best chair allows your feet to rest flat on the floor without compressing the back of your thighs. Mind you, incorrect seat height can restrict the blood circulation to your lower legs and cause numbness in your legs and feet. Seat Depth: The seat depth is another important thing to consider when buying a chair. It should easily allow a person to sit right at the back of chair without requiring to press the backs of knees. Lumbar/Backrest: The backrest and lumbar support needs to be in appropriate shape and size. This helps supporting the middle and lower back in the right posture without having to limit the movements of shoulders and arms. The best backrest helps your spine to perfectly maintain its natural S-shape. Arm-Rests: Another really important thing that matters in an office chair are the arm-rests. The arm-rests offer great deal of support to your arms and shoulders. Since you are going to spend a lot of your time in office on the chair. Swivel: A swivel is undoubtedly one of the primary requirements of an office chair. At times, you need to look back, interact with other people around or reach out to other parts of the workstation. If your chair doesn’t swivel, you’ll have to twist your back to do so. This could prove extremely harmful to your back so avoid buying an office chair that doesn’t have swivel option.